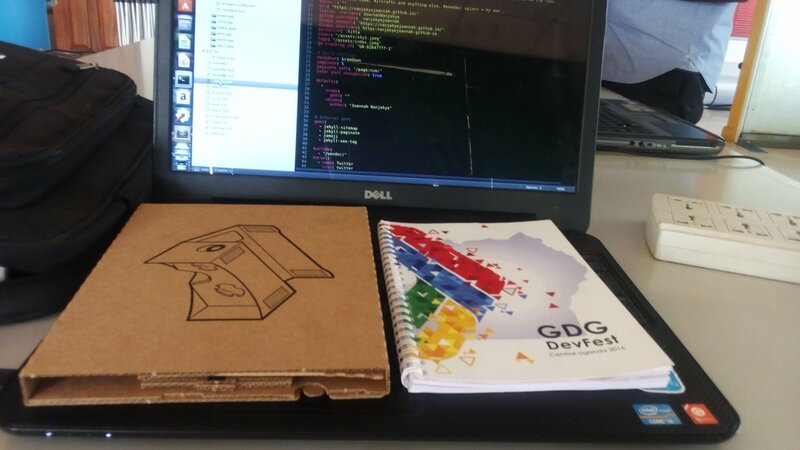 This is my second DevFest in attendance and was really excited and not dissapointed with the sessions. 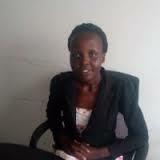 I am no good writer but I will give an overview of what transpired and what I learnt. Solomon Opio the GDG kampala lead from outbox welcomed us and all the GDG chapter participants.He also introduced the different GDG leads in the kampala region from SLAU , Makerere and UCU. 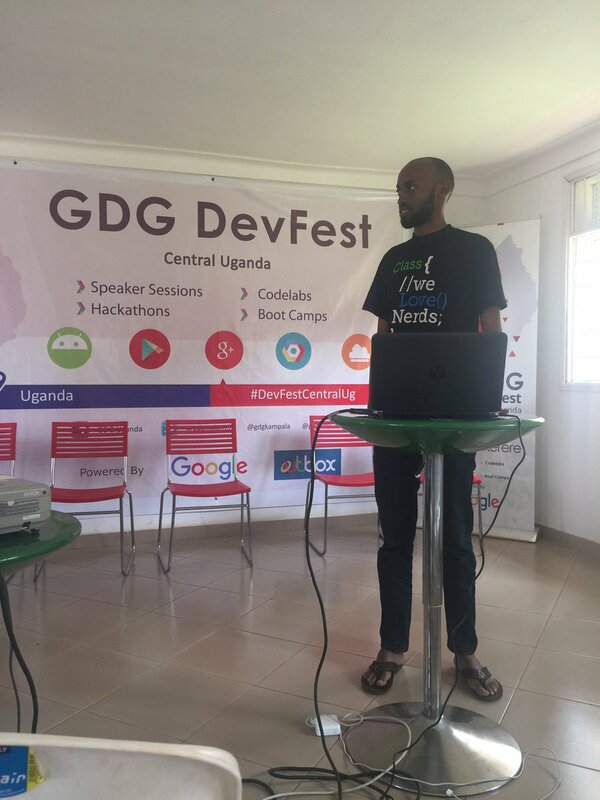 He was complimented by the GDG mentor Nsubuga Hassan who explained what GDG DevFest is and what opportunities are available through GDGs for participants. 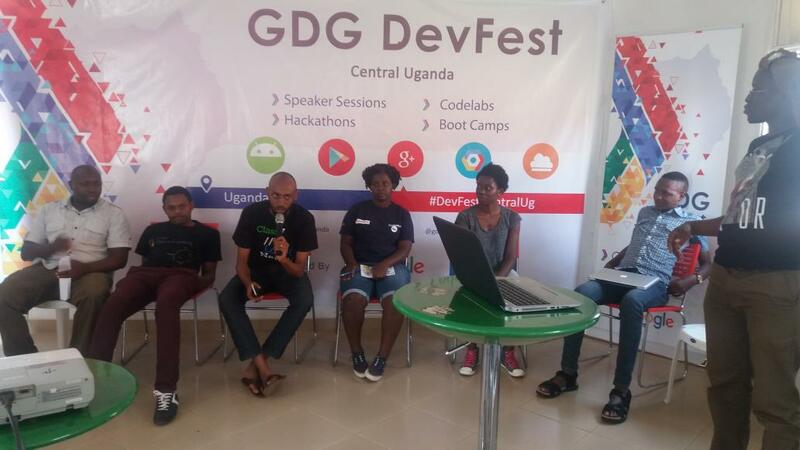 He pointed out opportunities like study jams and the Google developer Expert program. Chris gave us an overview about the google cloud platform and how we could utilise it as developers. He pointed out the fact that the platform offers infrastructure that is secure , global, cost effective and constantly improving. Not to forget the fact that it offers amazing big data capabilities. 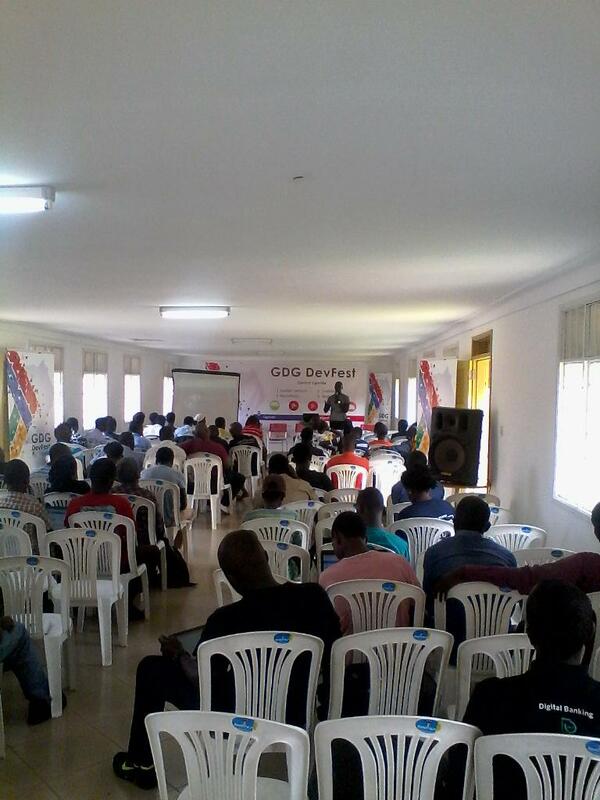 He also encouraged participants to join the Google Developer Expert program from Uganda. Nicholas from Africa is talking gave us an overview of how Africa is talking can provide a way through an API for people and companies across about 7 markets on the African continent to connect via SMS messages. Africa is talking offers bulk SMS, short codes and premium SMS, USSD, MMS and customized mobile messaging solutions for individuals, businesses and developers. The API allows users to integrate the service to build SMS based apps. With the API developers can connect a short code, use an alphanumeric sender id and send SMS messages across Kenya. Users need to register to access documentation. He gave us an idea on how we can use the firebase platform to develop theiour backend. He also gave us an overview on how we could use material design to enrich our designs for diffrent devices. The audience had a chance to ask the brilliant panel some of their questions. The questions ranged from all aspects technical and enterpreneurial. There was also concern on whether firebase supports cross platform applications. The panel said yes while pointing out that it ca not be used for USSD applications. 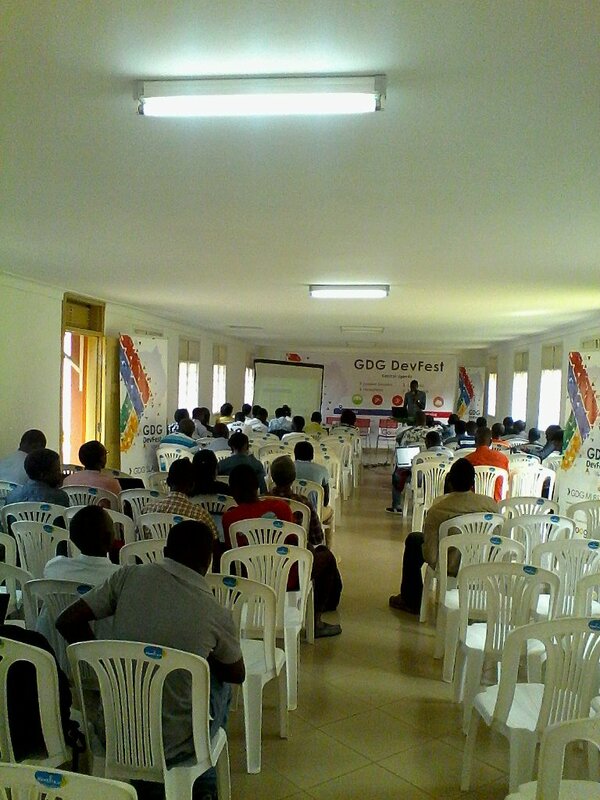 One question that stood out was on how developers can effectively make money from the apps they develop. The answers provided gave more eamphasis on ensuring you involve the user in development and also ensuring one is resolving a problem. All panelists finally advised on major points to consider while running and scaling startups. Alot of advise pointed out the fact that startups need to ensure that they are solving a problem , can convince an investor and ensure that they can convice 10 people who love them before they launch.Starups were also advised to launch as early as possible to get feedback and iterate whenever they are getting it wrong. And yeah , Finally I walked away with swagg from google.Every participant got.